Our business SMS platform makes it easy for your business to send marketing messages, alerts and notifications to your customers via text message. Using Voodoo SMS, your business can send SMS broadcasts to its contact list to promote offers and new products. Your business text messages can be broadcast at a certain time and date for the highest response rate and return on investment. We also offer a variety of additional business SMS services, such as two-way online texting and API integration for applications and software. Whether you need to send alerts, marketing offers or reminder messages to your customers, we’re here to help your business grow using SMS. Deliver your marketing message to your entire marketing list with an SMS broadcast. Our user friendly online platform lets you write your text message online and schedule it for delivery at a later date, immediately or in batches to create a constant flow of leads for your sales team. Using our shortcode number and a keyword or your long phone number, you can receive any responses to your SMS campaign using Voodoo SMS. 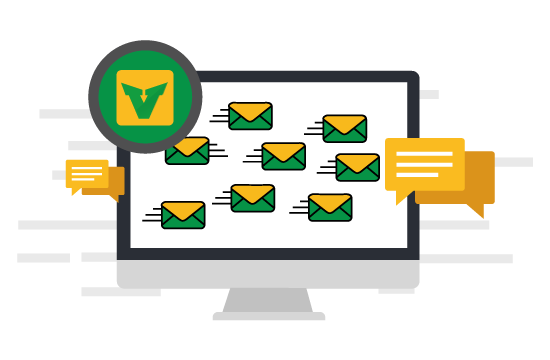 Our platform makes it easy to set up a targeted autoresponder for your campaign or to forward relevant messages to the right person. With our API, you can deliver messages from your application via SMS. Easily send notifications to your users, alerts for appointments and events, or any other relevant information to users via SMS, ensuring a great read and response rate. Our platform makes it easy to track your business SMS campaign with detailed delivery reports with all relevant performance indicators. All of our campaign reports track your delivery rate, as well as pending or bounced messages. You can also track inbound messages, making it easy to determine your campaign’s response rate and remarket to customers that respond to your business SMS messages. We use Tier 1 UK aggregators to deliver your message to your target audience, allowing us to achieve some of the highest delivery rates in the business SMS industry, all while offering great value to your business. How does our business SMS platform work? Getting started with Voodoo SMS is simple. Create and fund your account using any of our bulk text messaging packages. You can choose exactly how many credits you would like to purchase for your campaign, from a single message to one million or more message credits. Import your contact list into your account and deliver your first message as an instant broadcast, or schedule it for delivery at a later date. You can also schedule your message to send in blocks of several SMS at once to reduce the risk of a sudden wave of calls and responses. We offer competitive pricing, especially for bulk users. Our business text messaging service is priced from just 1.74p per message, making it easy and affordable for your business to keep in touch with its customers via SMS. Create your account now and start generating new leads, increasing sales and creating results with business SMS marketing.